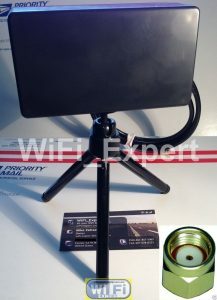 Includes: 1 (One) 2.4Ghz BiQuad Antenna with RP-SMA connector, 1 (One) 4 foot Jumper cable to RP-SMA, 1 (One) Tripod inside plastic enclosure. If you need cable for all types (you might need a longer cable if you want this mounted outside). If you need connectors for all sizes and types (if you need RP-TNC connectors or any other adapter to get this to work with any other application). This is best when used as a stand alone antenna (can be used with any router/network card that has external antenna port that support Ac 2.4Ghz Band). This antenna is for indoor use only. 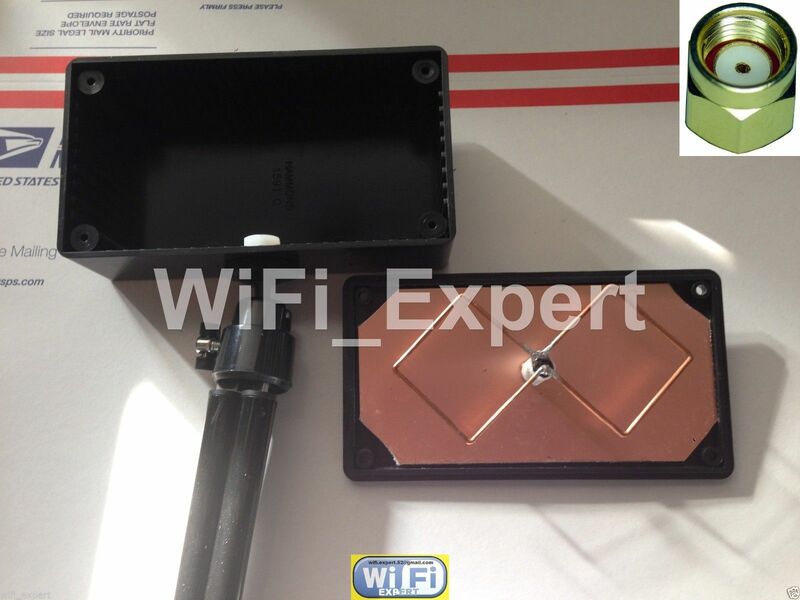 This Bi Quad Antenna is specifically made to be used as a stand alone for B/G/N 2.4Ghz Band only (Mounting Bracket and Tripod is included plus 1 jumper cable that connects BiQuad to your network adapter). You will get one BiQuad antenna with tripod plus 1 jumper cable 4 Foot long and inside plastic enclosure as seen on the picture and nothing else.